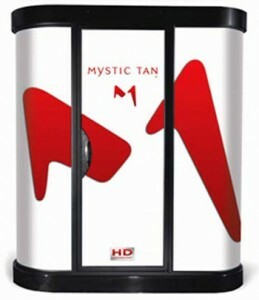 The HD MyMyst spray tan booth that adds beautiful, natural-looking color to the skin in minutes without sun exposure. 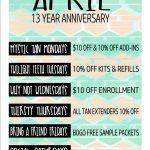 So when you want and need to look your best quick, go sunless! We have 3 color choices of myst so you can choose the shade that will look best on you. They all feature Paraben-Free ingredients that deliver a superior natural-looking tan. Erythrulose and DHA work in combination to produce a tan that lasts up to 7 days, fades evenly and provides natural color for all skin types and tones. High concentrated Aloe Vera and added antioxidants such as Green Tea extract, Acai, and Larrea Divaricata, can help to protect your cells against damaging free radicals. All formulas are fragrance free, bronzer free clear base formulas allowing for individuals to personally customize their sunless experience. We have several add-in options that you can choose from to customize your sunless session. You can choose from several fragrances, broner additives for immediate color and more! Watch this how-to video for the Mystic HD Spray Tan.